An EMP blast from the right location has the ability to do serious damage to the power grid. Though you may think this a delusion of preppers and survivalist I can assure you that this is a legitimate threat. Our government created a report that is hundreds of pages long to address the same concerns you have. Not only is an EMP a serious concern for our nation the majority of us are woefully prepared to find power after such an event. There is a popular misconception that following an electromagnetic pulse whether via the sun shooting a powerful solar flare in our direction or through the detonation of a nuclear bomb over the country that everything electronic becomes useless. Fortunately this simply is not true. There will be appliances and source of power that survive. Though this will probably not include many of the items we use on a regular basis it also won’t mean that we are back to the Paleolithic Era either. 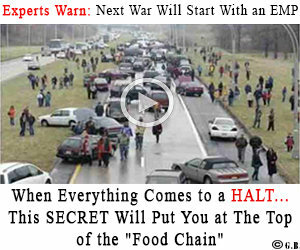 They say there are about 3 million preppers out there working by the light of the moon to be ready for scenarios just like this. If that’s true, I believe the number is terribly low. There will also be devices that were protected via Faraday cage. Car Batteries – The robotic cars of this age will surely have most of their useful parts scrambled but the power you can yield from a car battery is substantial. In fact with a simple converter you are able to power homes with your car! Household Batteries – If you are already prepping you should have this power source en mass. If not seek them out. I am sure Americans have tons of batteries in use they could pull power from. Dump toy boxes, search pantries, video game controllers and other appliances that hidden and rarely used. Alarm Systems – Criminals evolve just like the rest of us. Since they realized cutting the lines that run to your alarm system is a good way to neate its efficacy alarm companies have moved to wireless. That means your system is powered by some alternative source of power. Your cameras as well, if wireless, are pulling power from a source. Cable Boxes – The monster cable companies install these boxes on the side of our home and even sometimes inside our home. These are wired to the power but are also backed up with a some type of battery. Marine Batteries – In a situation like this it’s very unlikely that you will be trolling around the local bass waters in your jon boat, especially, if you have no way to tow that boat. Utilize the power of your marine batteries as well. Laptops – Most of these shutdown with 10 or so % of power left to assure you don’t find it completely dead. Either way with the right tools you can easily harvest power from your laptops. Cell Phones and Tablets – Following an EMP I think you will be surprised at how little interest you will have in your phone or tablet. Particularly because there will be no wifi and the unit itself will most likely be compromised. Portable Electronic Power Sources – These wonderful power bars or power boxes can be fueled by anything with a USB port and left on standby for a day such as the one we are discussing. Beyond the outlets and the system of power lines pulling electricity from the major power generating companies there is power all around you. You may not realize it but there are easily 10 sources of power in your household that are fully accessible and with more than likely be effective following a grid down scenario. 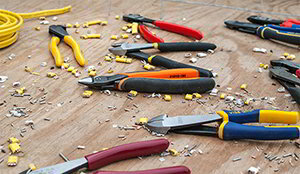 Insulated Wire Cutters – In most cases you will need wire to harness power. Particularly from things like car batteries. Though lengths of wire will be plentiful in a grid down situation you will want a nice pair of wire cutters and strippers for such tasks. Hand Protection and Eye Protection – If you plan on working on anything that has an electrical charge you better take the proper precautions or your quest for survival may end much earlier than you would have expected. An array of usb cables with various fittings for Androids IPhones – Of course it is very easy to knock our addiction to electronic devices. Its also very important to understand what an incredible tool they can be. These fittings will allow you to draw power and absorb power to a number of different gadgets and devices. Converters – It may take several types of electric converters to utilize certain sources for certain devices. Plan for what your power source will be and seek out the converter for the appliance you would like to power. It might turn out you don’t need a converter but you don’t want to find that out 1 hour after an electromagnetic pulse shuts down the eastern seaboard. The honest truth of the matter when it comes to EMP’s we simply don’t know. We don’t know the extent of what will work and what won’t. Depending on where the impact site is and the power of the blast there could be a ton of variables. I think it is very important that you decide now where your will derive your power if ever a situation like this occurs. Of course if the impact site is close to your town you will have a number of challenges. Including finding power sources. I offered 10 such sources of power that can be used following an EMP attack. These are by no means the only options out there. 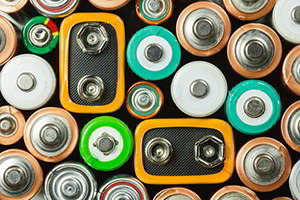 So many things run on batteries that may survive the emp. Having the ability to harvest that energy will be paramount. EMP Myths and Facts. What’s BS and What’s True? The one thing that everyone forgets to keep safe from EMP’s is a good VOM (Volt-Ohm-Meter), the digital type. Is the battery good?? just stick you tongue on it, NOT!! I agree Dave. my husband I are in our 70’s. I have hoarded a lot of food and we have guns and ammo, but anything requiring a lot of effort, I think we will have a tough time. Telephone company land lines are battery powered from the telephone company Central Office. If you have a telephone land line and it has a touchtone dial pad, that lighted dial pad is receiving its power from the Central Office. Regardless whether your dial pad is lighted or not there is always a minimum of 23 Milliamps at 48 Volts available there. As long as the telephone Central Office batteries continue to survive, that power is available..
agree with hidden, a good v-o-m is useful…either digital or analog. both can be used effectively. If you have put aside gasoline you can use it in old motorcycles and antique autos which won’t be affected by the pulse. Older boats or anything without computer controls will survive. I have 3 full sized metal garbage cans that I have lined with foam rubber and cardboard for insulation. I have a variety of electronic devices stored in them: a small gas generator, led flashlights with rechargeable batteries, VOM, CB radio and antenna, hand-held short wave radio, AM-FM radio, an old but working laptop, blood-glucose test meter, LED camera, and other odds and ends that I think are important. I have metal tape that I use to seal the lids to the trash cans so there’s no gap.